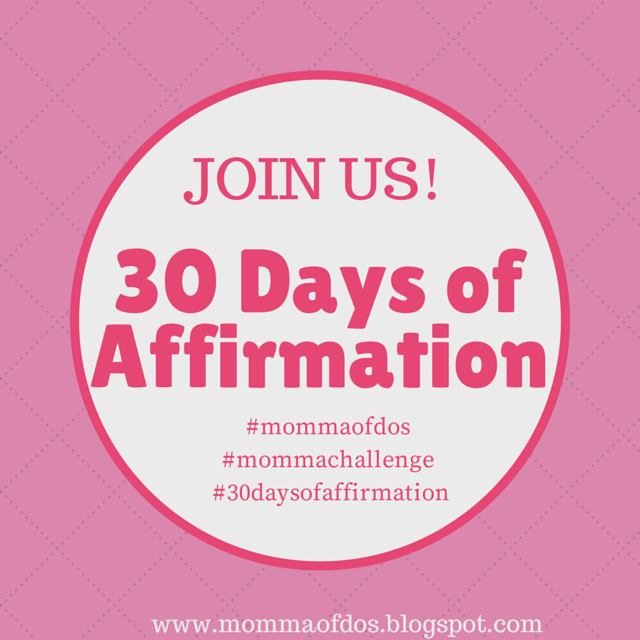 If you follow me on Instagram then you know that I started a 30 days of Affirmation Challenge. It began a little over a month ago and the 30 days have not been consecutive but still I have reached the 30 days that I committed to. I would be lying if I said the last 30 days have been life changing. Because in all honesty, life is life. We have good days and bad. What it has changed is my stress level. For a while now I had been feeling tense and ready to run away from it all. The challenges of everyday were becoming a bit overwhelming and then I had a life coaching session with my new friend Boni. Her words really helped me see things in a new light and reflect on the changes that needed to be made in ME. Not the world or those around me, but ME. Because it's true. Change starts with yourself. I not only started keeping daily lists or notes on those things that are good in my life and I am thankful for but I also started making this one note that would help me get through my day! Some days I had no clue what I would write, I had to experience something to be inspired, or motivated. Other days I had my sticky note in mind the day before ready to jot down and share! I loved it. I loved the amazing feedback and the support, it all helped me make it through this personal challenge. What was gained? Focus. Some peace, direction and perspective! I now know that it's not easy to be positive everyday but it's also not impossible. I know that I can be that person of faith and hope. I think that it's helped me see the light and what path I should take in 2015. Did you follow the challenge? What did you think? ?